Antonio “Tony” Landino lived on the family ranch on Back Ranch Road. He was the youngest son of Italian immigrants who brought their families to this ranch property in Santa Cruz in the early 30’s from Los Angeles. Fern and Tony married a few years later and so in lies the family ties. 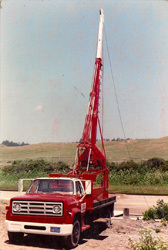 Tony Landino founded Landino Well Drilling in 1957 with a self-designed and built, cable-tool drilling machine. 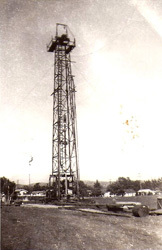 He later founded Landino Oil Company with oil production in San Ardo and King City, California. His water well operations were focused on domestic and agricultural wells and pumps. He combined the two with Landino Construction and Well Drilling, running multiple crews and rigs. Tony’s son, Dave, by the age of 18 was running a crew and drilling water wells throughout the Monterey Bay area. David Landino Sr. continued the drilling company on Back Ranch Road as “Pop’s” health diminished from a near-fatal injury in 1983 to a couple of years before his death in 1998. 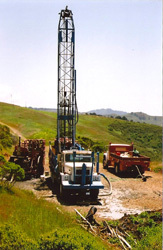 Now known as Landino Drilling Company, owned by David Landino Sr., the company continues to operate from the north coast of Santa Cruz County. David has been doing this work nearly 50 years — so with this history, there is an acquired wealth of knowledge, and experience in the geology of this and the surrounding counties. We drill wells for home owners, commercial clients, farms, and ranches – operating two air-mud rotary drill rigs and two pump rigs. 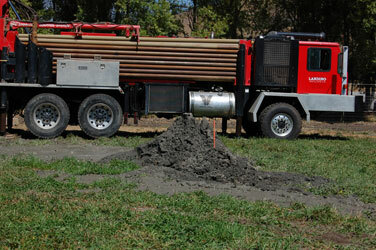 We also sell a wide range of pumps, including solar pumps; and are certified Geo-thermal drillers. Darrell Landino is the fourth generation in our family drilling business. He grew up in, around, and on the various rigs his grandfather owned and father operated. He worked part time through his teens and full time for the last 10 years. Darrell is the youngest C-57 drilling contractor in California. In addition to his job experience, he has spent many hours of classroom instruction to achieve his present skills, and has geothermal drilling certification as well.